The GT makes extensive use of lightweight materials, including carbon fiber and aluminum – enabling outstanding acceleration and handling with improved efficiency. 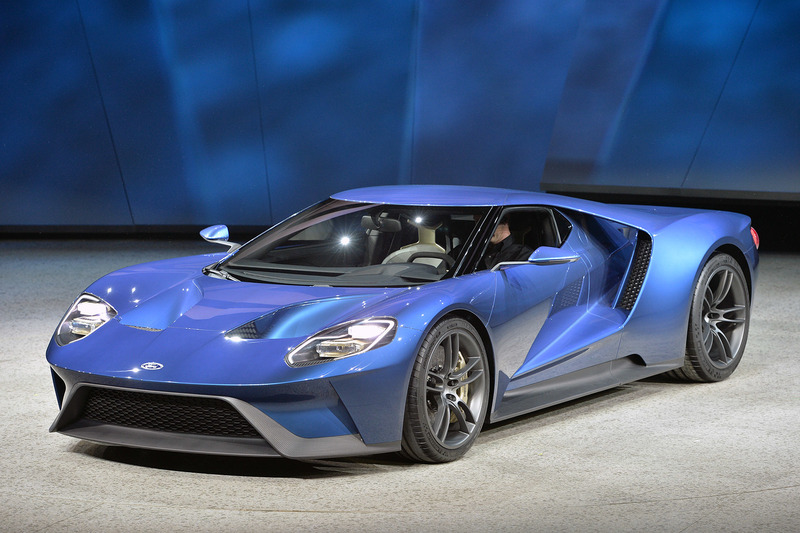 The all-new GT features advanced lightweight composites, which will help serve Ford’s entire product lineup moving forward. With the broad application of structural carbon fiber elements, the GT will exhibit one of the best power-to-weight ratios of any production car. Anchored by a carbon fiber passenger cell, the GT features aluminum front and rear subframes encapsulated in structural carbon fiber body panels. Carbon fiber is one of the world’s strongest materials for its mass – enabling an ultra-stiff foundation for chassis components, while creating a lighter overall package for increased dynamic performance and efficiency. From its optimum tear-drop shape to its aircraft-inspired fuselage and visibility-enhancing curved windshield, every slope and shape is designed to minimize drag and optimize downforce.